Fania Davis—co-founder and executive director of Restorative Justice for Oakland Youth--will deliver the 2016 Peggy Downes Baskin Ethics Lecture on Thursday, December 1, at the Music Center Recital Hall on the UC Santa Cruz campus. Davis will talk about the origins and practice of restorative justice, as well as its intersections with feminist and relational theory, abolitionism, Black Lives Matter, and movements to end sexual violence. Restorative justice is a model of criminal justice that focuses on the rehabilitation of offenders through reconciliation with victims and the community at large. The murder of two close childhood friends in the 1963 bombing of the 16th Street Baptist Church in Birmingham, Alabama, stirred Davis to a lifetime of social activism. Since then, she has been active in the civil rights, Black liberation, women’s, prisoner’s, peace, anti-racial violence, and anti-apartheid movements. She also spent nearly three decades as a civil rights trial lawyer after earning a law degree from UC Berkeley in 1979. Aptheker added that she had originally planned to bring Davis to campus to speak to her Feminism & Social Justice class. But she ended up instead recommending her for the Ethics Lecture. “Oakland is emerging as a national model in using cultural restorative justice approaches to interrupt the school-to-prison pipeline, break cycles of racialized mass incarceration, and bring community healing. The Ethics Lecture is made possible by the Peggy Downes Baskin Humanities Endowment for Interdisciplinary Ethics, which enables the Humanities Division to promote a dialogue about ethics and ethics related challenges in an interdisciplinary setting. The endowment was established in honor of Peggy Downes Baskin’s longtime interest in ethical issues across the academic spectrum. 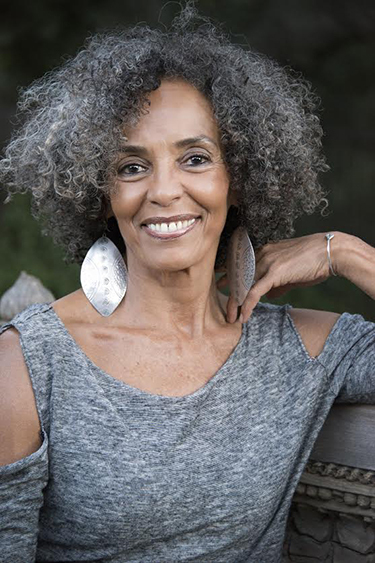 Fania Davis will deliver the 2016 Peggy Downes Baskin Ethics Lecture at 7 p.m. on Thursday, December 1, at the Music Center Recital Hall on the UC Santa Cruz campus. 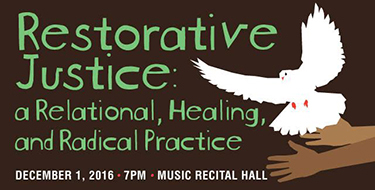 The title of her talk is "Restorative Justice: a Relational, Healing, and Radical Practice." This event is presented by the Institute for Humanities Research. Admission is free and open to the public.